NEW PRICE!!! Simply irresistible Gulfport Marina bungalow is bigger than it looks and so much new! Almost 1500 square feet of comfortable living space in this sweet mariner cottage. You will love the space this home offers with three bedrooms and two separate baths with all the updates you can imagine! As you enter you will immediately see the inviting wood burning fireplace, striking open style updated kitchen with like new stainless appliances (2016), black-granite counter tops and real wood cabinetry. 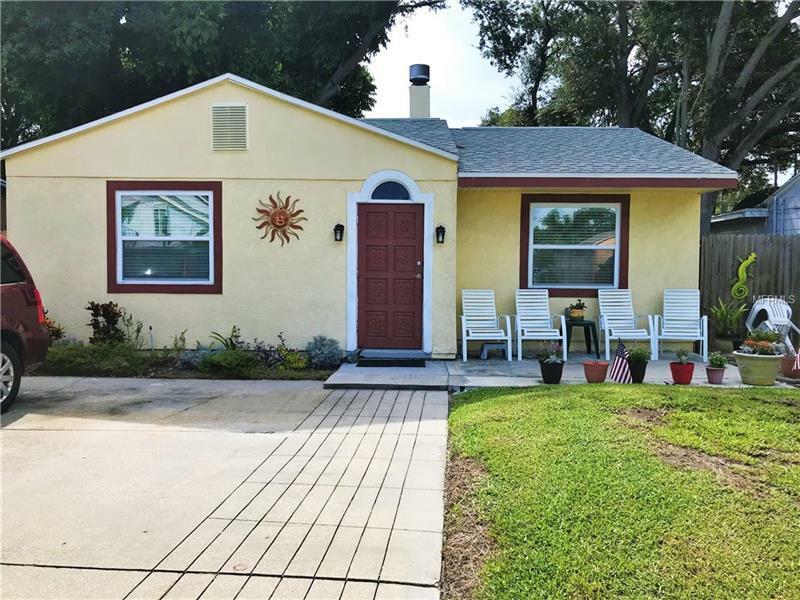 Awesome upgrades include porcelain tile throughout, totally remodeled bathrooms, new windows, 2015 water heater, newer AC, newer roof, fixtures and appliances. Convenient inside utility has full size like new Whirlpool washer & dryer! Fenced rear yard has plenty of space for your pet and you! Walk to the Clam Bayou and the delightful Gulfport marina daily to watch marine life and sunsets which is just at the end of the street! Live the relaxing salt life today in this charming Gulfport Marina home! See this one today!